Do you want to have a stronger and more beautiful body? Then the best thing to do is get on your feet and start doing the resistance training. Resistance training involves activities that use weights, machines and even body weight to work out the muscles properly. It is also known as strength training or weight training. This can be very helpful in achieving a healthier body. How Does Resistance Training Work? A resistance training program will include the use of various exercise equipment and machines like the bench press, dumbbell or barbell. When the equipment is used, the muscles of the body will be pitted against the weight. The cells of the body will then adapt to the extra weight. This will then result to hypertrophy or the enlarging and increasing of the nerve cells to help in the muscle contraction. This kind of training is usually associated with athletes who have to build up their bodies. Most people would think that when resistance training is done, the body will grow bigger. Actually it will not. Resistance training is simply about increasing the strength of the body, not its size. Actually, this can be practiced by anyone. It basically builds and tones the muscle to give the body a better look. This training program is even very much advisable to the elders. The usual training programs undergone by the elders are standing free-weights resistance or the moderate-intensity seated machine training. Before doing any resistance training, it will be best to consult first with the doctor. This goes especially for people who have medical conditions or are overweight. This kind of training is not something that you can explore on your own. You have to know the proper equipment for the needs of your body. The body must also be conditioned first before taking in the weights. Resistance training can also be done without resorting to the equipment. Doing push-ups is one good example. You can do it just about anywhere where there is enough space for you to move. This time it is your own body weight that will be pitted against the muscles. So those who are a bit constrained in the budget can still do resistance trainings. What Are the Benefits of Resistance Training? Bones are constantly remodeling, meaning the tissues break down at the same time they build up. The peak of remodeling takes place during puberty. However, as a person ages, there may be problems with the bone mineral density as the remodeling may not be as active anymore. This is especially a problem to post-menopausal women. Bone mineral density is usually supported by the hormones. To address the problem of not having the hormones to maintain the bone mineral density, physical activity is the next best option. Resistance training is one physical activity that can address this. Strong bones and strong muscles will be developed as you undergo the resistance training program. 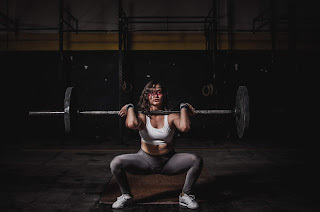 When your body is strong enough to carry some considerable weight, then definitely you will also be capable of doing more strenuous activities. You are less likely to be lazy and you can live a more active lifestyle. Pitting the weights on your muscle will definitely give it the body the exercise it needs and get rid of the undesirable fats. Thus expect the tone of the body to improve. Even more, expect the body to look better, to be leaner. Regularly doing resistance training can result to a lowered heart rate and lowered blood pressure, especially after exercise. The risk of heart diseases is reduced to a considerable extent. This kind of training however must be properly done. It requires commitment and consistency. It will have to be done in a regular basis, following a schedule that the doctor or the physical trainer would recommend. If done incorrectly, the benefits of the program may not be enjoyed and it can even result the injury. The key here is to simply take your time. Do things one step at a time correctly. As your body condition improves, then move on to more challenging tasks. The strength of the body and its overall look are at stake in the resistance training. So you better be sure to do it properly. I have done some kind of sport and fitness my whole life and, if anything, my skin became worse from wearing the wrong products on my face while I trained. I have always been so self conscious of my skin, and constantly tried to not let people stand too close because they would see all my imperfections. It was borderline debilitating at times, how much my skin affected my life. I looked for the "perfect product" for years, and never found it, so I believe I have created it!